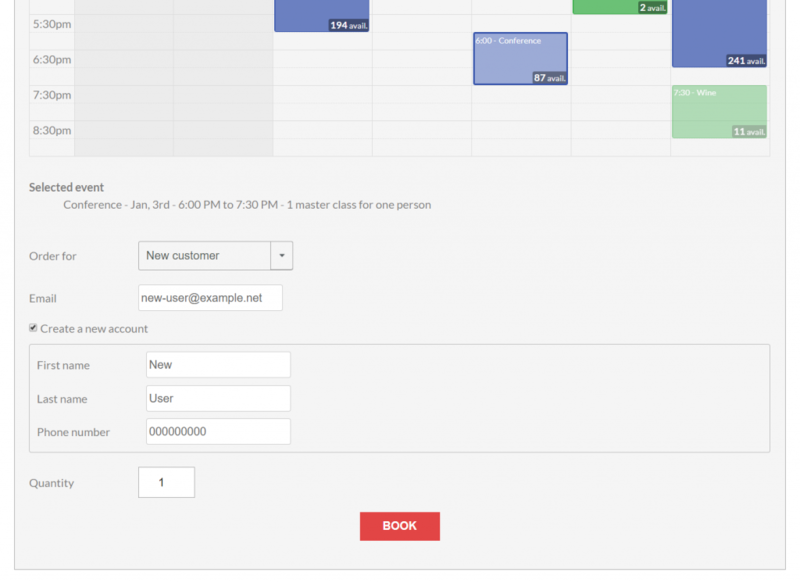 Booking Activities 1.5 features a fully integrated login and registration form in its booking forms. 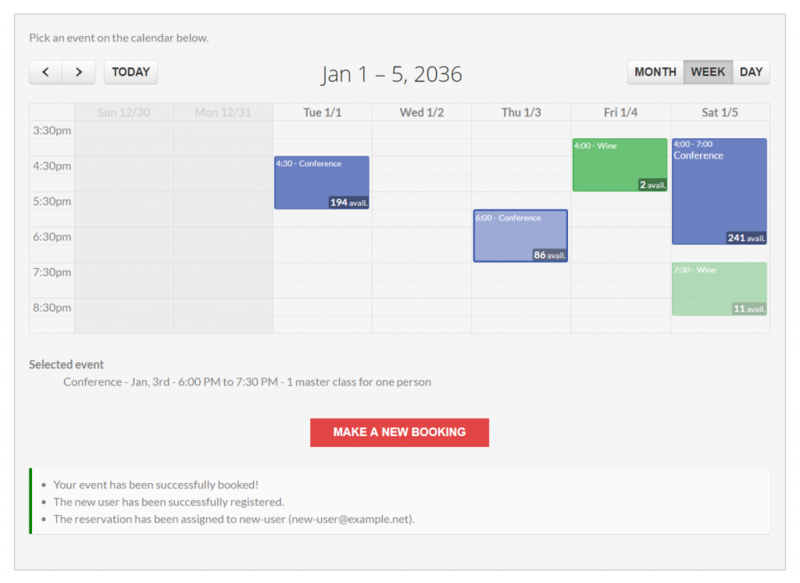 Order for Customers add-on can now use it to allow you to book for a new customer with one click on any booking forms. You can select “New customer” in the customers selectbox, fill the form as a normal user would do, and book the desired event. The account will be created and the reservation assigned automatically.